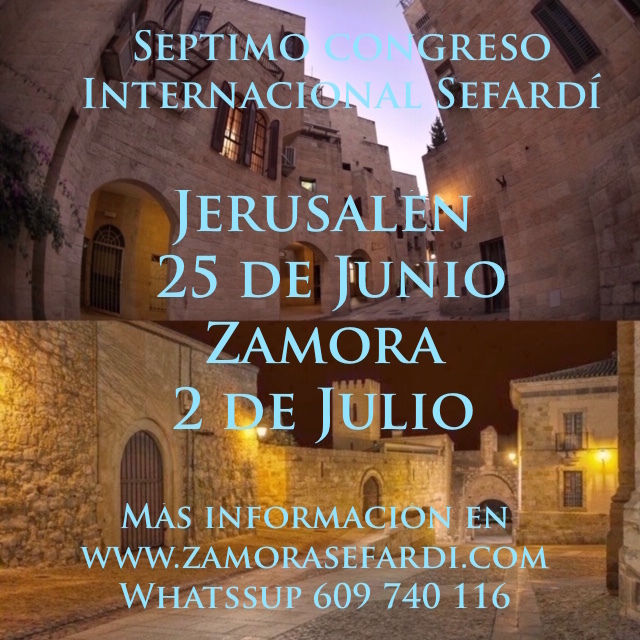 Center Isaac Campantón, in collaboration with the Council of the Sephardic Communities of Jerusalem, invites proposals for its 7th international congress, this year with the title of Transatlantic Sefarad. This is an interdisciplinary event welcoming professors, students, and independent scholars researching in the area of Sephardic Studies in connection with the Western Hemisphere. Submit proposals to centrocampanton@gmail.com Deadline: June 1, 2019. Online Enrollment until June 10 Here or in person at the conference. Concert at Yad Ben-Zvi Auditorium, 19:30 hrs. 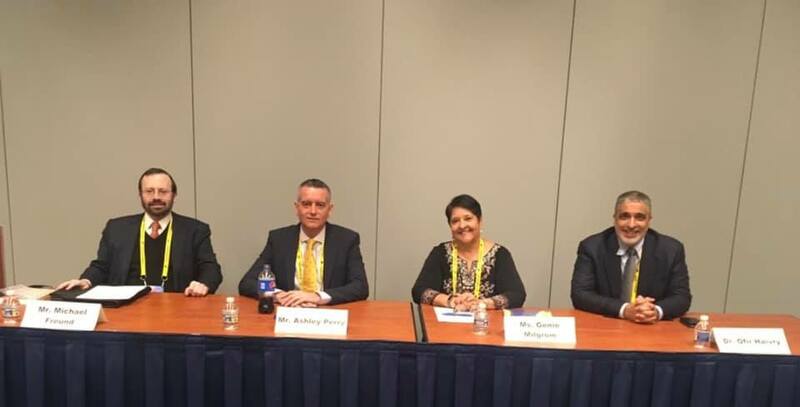 Video of this panel is available at Ashely Perry's and Genie Milgrom's Facebook pages. Ashley: Based on academic research from more than 60 experts 1 in 4 people in Latin America have Jewish ancestry to which it should be added Latinos in the U.S., and people from Spain & Portugal, which studies state that 1 in 3, 1 in 5 also have Jewish ancestry. That puts the number at 100 million. Not all of these people want to return to Judaism though, based in a survey Reconnectar did, 14% of them would like to identify as Jews with the Jewish people, 30% are aware of their Jewish ancestry and they want to know more. Other numbers from the survey are: 51% want to know more about the state of Israel, 50% want to visit Israel, 46% would like to advocate for Israel. These are game changing numbers. Dr. Haivry: There are many levels to this numbers. Most are interested in learning about Israel, Judaism and even Hebrew language. There are also a significant number that organize in groups in different places (e.i. Brasil), they are very proud of their Jewish ancestry, and in many cases advocate for Israel more than in the (traditional) Jewish community where people might be afraid of over exposure, and to prevent attacks to their synagogues. There are also organized Jewish communities that want to become officially renown. Some want to convert, some wish to be recognized, and a small % want to come to Israel. We should clarify that the numbers vary depending of the areas, for example, Chile has smaller numbers than Brazil, Mexico, and Colombia. I would say that it is a grassroots movement at this time, and there is not a central command or israeli effort. 99% of what's going on is from people who want to reconnect. We need to find ways to approach this grassroot movement. Genie: The ultimate question here is how all of this reconnection relates to Israel. I come from a catholic family from Cuba, however, I always felt Jewish, and converted to Judaism many years ago. After my conversation I had this need to go further in my feelings, which I did when my grandmother died leaving me some jewelry of Jewish motifs that she had inherited from her mother and grandmother. Because of this, I did my genealogy, and was able to track my Jewish maternal linage back to 1405 Pre Inquisition Spain. This is also the story of many people in this grassroot movement that Dr. Haivry mentioned. Not everyone though has the tenacity and resources to find the documents in the archives, and officially return as I did. The difference with families like mine and other diaspora Jews is that even when this documentation affects the entire family so far it has been only me that is interested. This is a one on one journey which makes the situation different from, for example, Russians Jews emigrating to Israel by the thousands. We - in the Hispanic and Latino world- return one by one. One here, and another there, it is when adding all this up that it sums up to millions, but it is not that we all return together. When someone says to you "I feel Jewish" it is not because they want to please you, it is a serious statement that needs to be taken into consideration. It is a phenomenon in the last 20 or 30 years. Before converting, Israel was for me, part of a sacred history book, but afterwards, Israel become something larger than life. 2- a) Why does this concern about the numbers?, b) How do you think Jewish communities should advocate about this? Dr. Haivry: The actual number of people, who want to convert is small, in part due to the difficulties in getting it done. On the other hand, morally I don't feel we should close the door to people who, in many cases, where taken by force out of the Jewish people (reference to Spanish, Portuguese, and later Latin American conversos). Also, because of antisemitism, Jewish laws for many generations have been very strict, the moment someone left Judaism they would dissapear, children of those who converted to christianity wouldn't even know that they were Jewish, also there was a lot of intermarrige, therefore I think that this New Diaspora (of Latinos) is a wonderful thing, we can have a core of Jewish people plus all people who identify as Jewish being part of the Jewish World. My personal position is that we should welcome them, and bring them closer. Genie: These numbers are from DNA studies certified by demographers like Dr. Sergio Della Pergola. As Dr. Haivry said most of these people don't want to convert, however as Jews we should ask ourselves how limited are our friendships around the world, and how important it is to engage those who identify with the Jewish people, even when they continue going to church every Sunday, but proudly say "I have Jewish ancestors", imagine what it would mean to the Jewish people, and the State of Israel, to have millions of new friends. Ashley: Whenever I meet with descendants, conversos, Anunsim, Crypto Jews or whatever you want to call them, I always tell them that the difference between them and me is locked in time. I can trace my last name Perez to a man in Portugal. Those who were not forcely converted in Spain & Portugal fled to other places, including Great Britain, where they founded a community, which is the same case for other countries, for example, the first Jews in the United States were Sephardic Jews running away from the inquisition in Brazil, same for Latin America. I am a Jew today because my ancestors had a better luck escaping. Many of the Jews in this room today are also B'nei Anusim, first because regarless of Ashkenazi, Sephardi or Mizrahi, you probably had an ancestor in the Iberian Peninsula. Jews in the Iberian Peninsula were forcely converted three times: by the visigoths, by the muslims, and then by the catholic monarchs; same had happened with Hungarian, German, Russian, Yemenite, Persian Jewry, and others. All of us, almost all of us, have ancestors who were forcely converted at some point in history, what does this mean? It means that they also returned therefore, since antiquity, Rabbis have had to write a halacha (Jewish law) deciding what these people represent; are they Jews or not? Some say they are not formal Jews others had other opinions, and the question is what to do today, in the 21st century, when there are no massive forced conversions. What is our responsability? I don't like to compare, but the inquisition means for Jews from Spain & Portugal what the holocaust means for ashkenazi today to the point that in Yom Kippur in the Kol Nidre we include "our brethren imprisoned by the inquisition", so why are we still doing this? It is my firm belief that it is because there are so many people mentally in prision, although physically the dungeons are open -there are no more Autos da Fe, there are no more burning at the stake, etc, etc- but there are tens of millions of people out there still living in the imprisioment of the inquisition. We are not missionaries, we are not going out to convert people or tell them what to do, but when their hands are out- stretched, it is our moral and ethical obligation to meet them. Michael: For clarification, Ashley mentioned the term B´nei Anusim which is a Hebrew word referring to those who were coerced to christian conversation, the generation that was forcely converted is named by historians by the derogatory term Marranos. We prefer B´nei Anusim today. 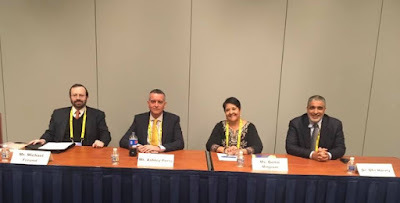 Since we are at AIPAC, and the state of Israel is at the center of it, I would like to take this conversation a step further on how this might translate into support for Israel. 3- What can Israel, and the American Jewry do to involve this community in our cause? Dr. Haivry: My expertise is not the American Jewry. For some reason that I don't know, Israel places a central part in the return of Hispanic - Latino Jews, but Israel is very cautious on accepting Jewish communities regardless of their origin; I think that there should be some kind of understanding among Jewish institutions, and communities about how to address this issue more seriously. Before an effort can be made - and I think that it should be made - there should be a clarification between Israel and the Jewish leadership on how to go about this. Genie: In the Americas, for example, in Honduras and Guatemala, countries that have moved their embassies to Jerusalem, people can began to comprehend Israel. In the U.S. with the Jewish Federations in larger cities they could invite the Hispanic community to their celebrations, I am Cuban, but now in Miami there are huge amounts of Venezuelans that could draw closer. Federations, and the Synagogues, can start by inviting the Hispanic communities to their celebrations and building those ties toward Israel. Ashley: I have worked for 10 years in the government in Israel with many Jewish organizations, and I know how much time, money and resources are spend reaching out, I think that we should base the relation with the Hispanic Latino community in our shared ancestry and history; the vast majority of Jews wherever they are today have roots in the Iberian Peninsula, and in the Hispanic culture, if you play ladino music to a Hispanic person they instinctive recognize it, they feel it. I have done it with Latino celebrities in Israel when they visit, and they love it, and want to hear more, there are so many connecting points. We have tested this in our website with thousands of people registering to know more about their Jewish roots, when we ask them about the state of Israel they want to know more; we should speak to them as brothers and sisters, as part of a wider Hispanic family, we can talk different languages, for example, not only mention those who speak Yiddish, but also people that speak Judeo Spanish, that way we can find a point of conversation. I have asked Hispanics, who used to share anti-Israel bias, what made them changed, and what brought them to understand Israel better, and I have noticed that it was their patriotism to their own countries what also brought them closer to their Jewish ancestry. 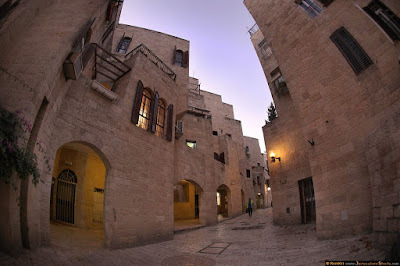 The point is that the more you discover your own family history the more you discover your Jewish ancestry, and that gets you closer to the land of Israel; this is another part of the journey. It is quite common in archeology to unearth a small piece of pottery in an unexpected digging site and after a painstaking work of finding, cleaning, and piecing together more fragments to assemble a beautifully crafted and ornamented vessel - a stunning masterpiece of antiquity. Sometimes, the finding of a very small piece is indeed dramatic, and it ends up as a missing link which enables a full-blown reconstruction on a big scale of an unknown or a re-discovery of a long-forgotten city or center of great importance. This is the archaeologist’s dream. Such an occurrence is quite rare in the discipline of historiography. This is certainly true in the study of cultural, intellectual, and learning centers. Normally, writings such as correspondence, books and tracts - the fruits of the intellectual efforts - are the building-blocks for the historian’s workshop. These are, by-and-large, readily available and at our disposal. However, it was one single piece of new information, the missing link, that allowed us the reconstruction we will propose below. I must admit that phrasing the topic of our presentation which puts Zamora unequivocally at the summit of Jewish intellectual activity in fifteenth century Spain is dramatic and that it was intended to be so! Take a look in standard historiographical works on the history of the Jews in Spain and you’ll find virtually nothing that will point to the theses embedded in our topic. This is true not only of the historiography which was interested more in the last hundred years of conversion and destruction of Spanish Jewry and which concentrated its efforts on analyzing the impossible existence of the triangle Jews-New Christians-Old Christians, Crypto-Judaism (= Marranism) and Inquisition. Even within the field of Jewish intellectual history you will not find a definition of Zamora in the fashion suggested in our topic. Come to think of it, the reason is quite simple. Often enough we judge intellectual achievements by bulk. Specifically, by quantity of publications. Without gliding into cynical comparisons to, and comments on the main element that shapes our academic careers, one must admit that quantitative evaluation is not unimportant, historically speaking, especially when we want to evaluate one’s influence. However, when we deal with religious education and learning this is not necessarily so. This is particularly true when we study the history of Jewish talmudic/rabbinic academies (Hebrew = Yeshivot). Learning in Jewish tradition is one of the greatest, most important religious requirements. The Torah already says that one should study it “day and night” and rabbinic literature - from the Mishnah and until the present - is full of dictums and exempla of scholars who did just that to the extreme. One might say that learning is the main trait of rabbinic Judaism to this very day. It is learning for the sake of learning even if it has no practical relevance to it. Learning is an end unto itself. Teaching and educating many students is an imperative, as put very clearly by the Mishnah. 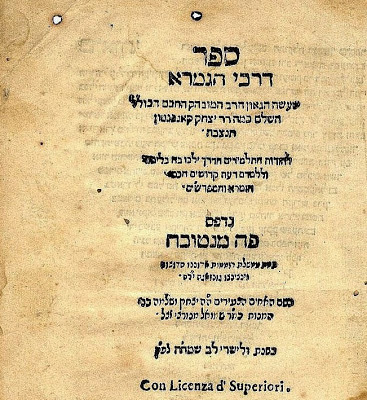 And so, on the one hand, rabbinic literature has been written continuously, especially the halakhic genres (= that is, legal literature), in the shape of codexes and responsa), and there were schools that invested much energy in writing novelae (= new commentaries and insights into talmudic halakhic discussions). On the other hand not every great scholar saw in writing the ultimate in learning. It is therefore incorrect methodologically for us to define one’s rabbinic and intellectual stature by the sheer quantity of his literary production. Having said all this in a way of introduction, let me turn now to 15th c. Castile, in general, and then to Zamora, in particular. "And the scholars eat bread of poverty, and even the little they get as payment they must go around and beg for. And this is the reason why the Torah is downgraded among them (= the Jews) and is destined to be forgotten […] because when the people see the shame of the scholars and their poverty they choose to send their sons to learn the worst of professions rather than see them suffer as rabbis". He goes on and compares this situation with the good living condition on the Christian clergy. This is written around 1416. Now when we read about the status of Torah learning - both quality and quantity - in the decades prior to the Expulsion, we get the feeling that within half a century nothing short of a revolution took place in Jewish learning in Spain. Let me quote shortly a few writers. Joseph Ya’avez, writing right after the Expulsion: “[…] For since antiquity Spain was not as full of Yeshivot and students as it was at the time of the Expulsion.” An anonymous chronicler, a refugee from Spain, writes: “And there were then [i.e. 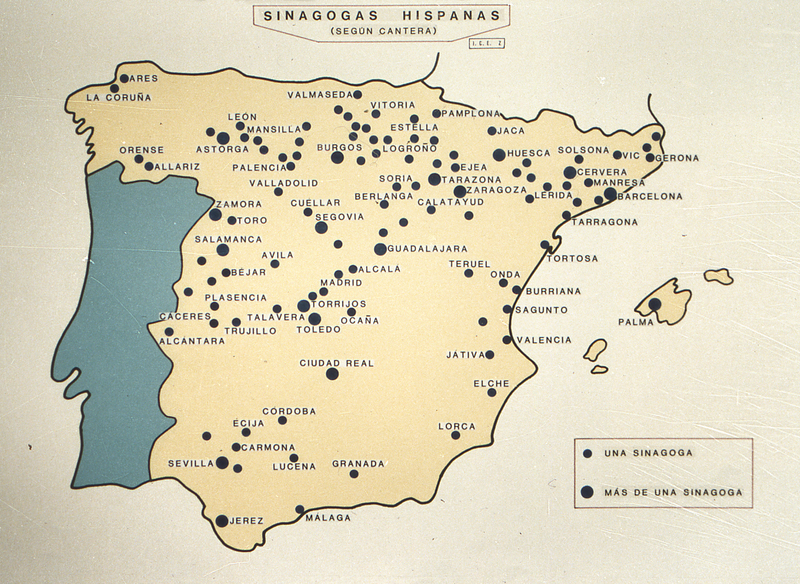 before the Expulsion] many yeshivot in Spain,” and he goes on to list ten of the largest. Judah Khalaz, who migrated to Tlemencen, in North Africa, a few years before the Expulsion writes: “Castile, the land of yeshivot and Torah students.” In one post-Expulsion elegy the poet mourns the external richness of the academies and their rich libraries which have been destroyed. We have information about large personal libraries of the Jews in this period, and it stands to reason that the ones in the academies were also sizable. It is true that, generally speaking, we can observe a phenomenon of rejuvenation of Torah learning and Academies after great material disasters, since the Destruction of the Second Temple and until our own days [i.e. post-Holocaust]. Yet, this does not absolve us from our historiographical duty to locate and identify the fountain[s] of vitality which gave rise to what can be termed as an almost intellectual resurrection. The answer in our case is hidden in the almost mysterious personality of Rabbi Isaac ben Jacob Qanpanton. This becomes apparent when we survey short references to Qanpanton’s stature and to assessments of his achievements as found in post-Expulsion Sefardic writings. And the great rabbi, the rabbi of [all] the people of Israel, the rabbi of the three above-mentioned scholars, the pious, humble man, who was inspired by the Holy Divine Spirit, the great light, rabbi Isaac Qanpanton […] who was called a Gaon in Castile (A prestigious term reserved for the Heads of the famous talmudic academies in Baghdad during the 7th-12th c.). And I saw him! And anyone who saw him experienced something similar to encountering the Divine Providence. And I was about six or seven years old when I saw him. And he passed away in Peñafiel in 1463. There is no need for over-dramatization in the reading of this paragraph to feel the awe-inspiring image that Qanpanton commanded. Qanpanton died at old age and according to one source he died at 103. From official Castilian documents we know that he participated in 1450 in a committee which was charged with the duty to divide taxes among the Castilian Jewish communities [His name is spelled there: Çag Canpanton]. At an age of about 90, his contribution was surely not in his mathematical abilities but rather in lending the decisions of the committee moral weight, authority, and respectability. The emphasis on the number of students that swelled under his leadership is especially conspicuous. Direct students: Isaac Aboab (Guadalajara and Buitrago. Joseph Caro, the greatest halakhist since Maimonides and until today, relates a mystical revelation he had where he was promised that his Yeshiva will be even greater and more famous than Aboab’s. ), Isaac Deleon (Toledo), Samuel Valenci (who succeeded Qanpanton as the head of the yeshiva in Zamora), Joseph Hayyun (Lisbon). Two influential figures in the field of biblical exegesis and preaching came out of Zamora. Isaac Arama wrote Aqedat Yitz’haq [Binding of Isaac], a voluminous book of philosophical sermons on the Pentateuch. This important work has been published many times and its influence extended much beyond the Sefardic world. In his introduction he refers nostalgically to his hometown as “Zamora in the far north,” using an expression referring to the glory of Jerusalem in Psalms 48:3. Abraham Saba is known primarily for his Tzeror haMor [Bundle of Myrrh] homiletical commentary on the Pentateuch which incorporates qabbalistic passages from the Zohar. This work was published Italy and Poland in the sixteenth century, and again in few editions very recently. We know much about his wanderings after the Expulsion from Spain through Portugal and North Africa and about his personal tragedies and loss of his family which was forcibly baptized in Lisbon. Some leading second generation rabbis: Abraham Zacuto, Jacob Ibn Habib, Jacob Berav, Moses Alashqar. 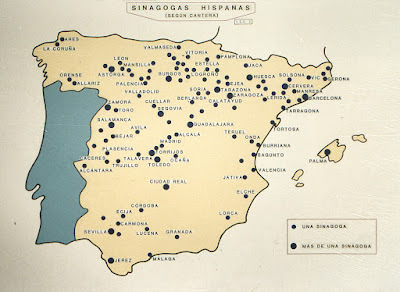 The geographical map of the talmudic learning centers in fifteenth century Castile known to us, shows that if we take Avila as the pivot point we can say that all of them were in a radius of about 200 km. (Locations: Leon, Fromista, Valladolid, Medina del Campo, Salamanca, Segovia, Buitrago, Avila, Guadalajara, Plasencia, Toledo). The fact that most of the places, not noteworthy in terms of size, are not known to us as Jewish centers from previous centuries, and that they are relatively small towns goes well with the observation that Jewish life in post-1391 Castile moved away from the major cities. 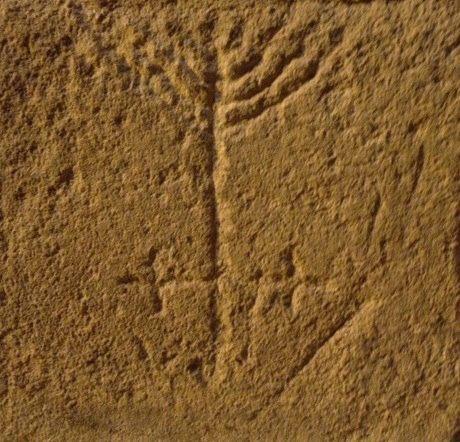 All the above would have been very interesting, but not particularly for the present paper, if not for a small fact discovered about 40 years ago (and to that I referred in my analogy to archaeology in my introduction): Qanpanton’s yeshiva was located in Zamora. 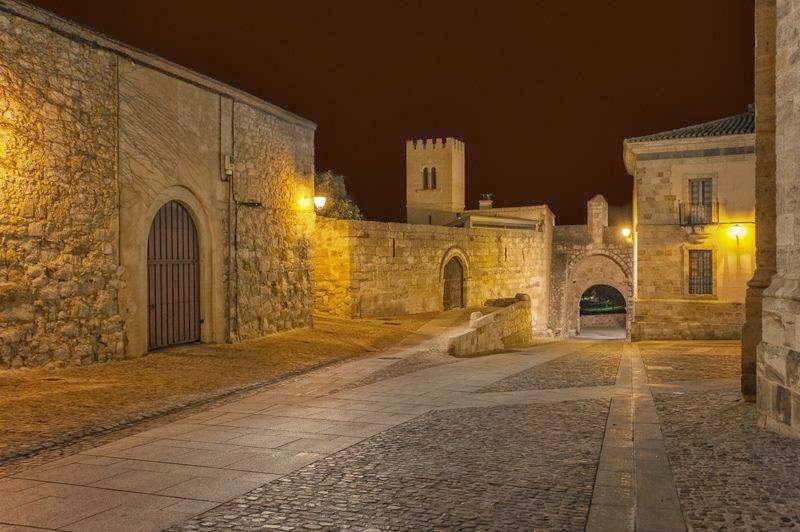 That this town had a 15th c. thriving Jewish community, in terms of Castilian shrunken Jewish communities, is evident from the additional northern juderia nueva (Ladero-Quesada, pp. 34-40). Also we know that the share of the tax levied from it for the war against Granada was sizable. An incidental compliment to the Jewish community of Zamora comes from the pen of the converso poet Juan Alfonso de Baena who writes as early as the 1440s’ sarcastically against a certain Gonsalo de Quadros whose true faith is not clear, that although he lived in various countries “it is notorious that you live in Zamora / and others tell me that you believe in the Torah.”. And so, we learn that Zamora was notorious for its Jewish community! And so, with the decline or complete disappearance (like in the case of Barcelona) of past centers, Zamora becomes the magnet for students. Now what was it that Qanpanton had to offer those students? Qanpanton himself wrote one very thin didactic tract called Darkei ha-Talmud (The Ways of the Talmud). The essence of it is that one should approach the study of the Talmud with technical tools of Logic, because literature of great people individuals must be dealt with the utmost respect, and the Talmud certainly qualifies as such. Practically, he is saying; there must be an explanation for every single written word because redundancy is not an option! In language there are no two words which have the exact identical meaning, and therefore there are no real synonyms! In other words, one must put a finger, so to speak, over each word and check whether the sentence could have been written without it. If this is the case, then one must find the reason why the extra word has been included. : What was it that the author tried to warn us from, what possible pitfall (misunderstanding, a potential wrong interpretation etc.) did he try to save us from. Qanpanton details his method over some 20-30 pages,and extends it also to the analysis of some of the great medieval talmudic commentators, namely, Rabbi Solomon ben Isaac (known in his abbreviation as Rashi), the great French scholar from the 11th c., and Moses ben Nahman (Nahmanides) of thirteenth century Gerona. This is a very demanding and challenging method of learning and of hermeneutics. It is also intellectually very rewarding. It is certainly directed to the intellectual elite. Now we are in position to assess Qanpanton’s restoration plan of Torah learning. In 1432 representatives of the Castilian Jewish communities convened and came up with the Valladolid Ordinances, where one chapter is devoted to the reconstruction of Jewish Torah education. 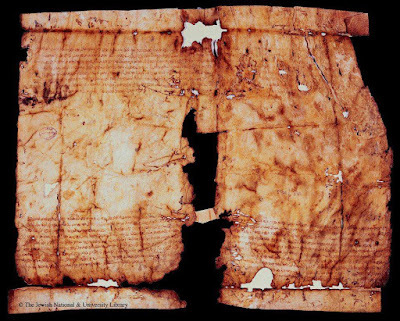 Abraham Benvenist, the Rab de la Corte was involved in formulating the document, and knowing his financial abilities (He loaned money to the Crown), and testimonies about his charitable nature, we can assume that he was involved personally in the financial aspects of restoration. Qanpanton, complemented him by being involved in the educational process. How does all this connect to his new methodology? The answer lies in the centuries long Sefardic haunting issue, indeed struggle, between Philosophy and Religion or Faith and Reason, symbolized best by Maimonides’ effort in his Guide for the Perplexed. 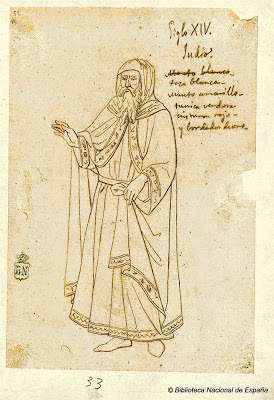 In order to understand Qanpanton’s attitude, we should contrast it with that of Asher ben Yehiel, (abbreviation: ROSH), a german rabbi who arrived in Toledo in the beginning of the 14th c.. To the charge that he does not know arabic and philosophy, he answered that Torah and philosophy are inherently contradictory and that there is no possibility for a compromise between them. This represented a head-on collision between Ashkenazi fundamentalistic religiosity and Sefardi complex spirituality. This attitude could not appeal to young men who have been exposed to, and enchanted by “Greek wisdom” of the Aristotelian tradition. This is where Qanpanton came with a different attitude. He did not reject [non-Jewish] wisdom (after all he was raised by a father who wrote books in mathematics and astronomy), - but offered Jewish youth a method by which the Talmud status is raised by showing that philosophical thinking is a “maid-servant” (to use a Maimonides term), a pre-requisite for a proper understanding of profound Jewish legal thinking and wisdom. This understanding of Qanpanton’s strategy is expressed already by chroniclers in early 16th c.. If we survey the spiritual portrait of the rabbis associated with this school, we’ll discover that most of them were knowledgable of philosophy but with positive tendency to Qabbalah. This is what we know also about Qanpanton himself. And so, one reaches the conclusion that he bears also some responsibility for the spiritual leanings of Sefardic leadership in the following two generations. Not everyone was happy, and one can find some criticism of the educational methods in the academies prior to the Expulsion,. Thus we read the better words of Joseph Ya’avez about the young students who enter the yeshivot, “ of the great rabbis, sharpen their minds like razor blades,” and then turn to the study of philosophy. Yet, it seems that this Jewry emerged out of its struggle for survival during the 15th c. as a strengthened community which eventually followed its spiritual leaders in large numbers into Exile. When we survey learning and rabbinic writings in the wake of Qanpanton’s revolution, we see very profound traces of his system. 1. We have a number of super-commentaries on Rashi’s famous commentary on the Torah using the method advocated by Qanpanton. 2. After the Expulsion the occupation in methodology of Talmud study yields a genre of short tracts, following the example of Darkei haTalmud. 3. Joseph Hayyun, the major rabbinic figure in Lisbon, wrote commentaries on the Bible based clearly of the premise that there are no synonyms, even in biblical poetry such as Psalms. (Qanpanton does not discuss the Torah but, of course, if one needs to interpret every word of the Talmud and even some of medieval commentators, this should certainly be the case with God’s own given books.) This exegesis, I would stress, goes against the grain of medieval Sephardic assumption (Abraham Ibn Ezra, David Qimhi etc.) that the Bible does repeat the same idea in different words and there is no need to explain such cases. It was a nostalgic memory from pre-Expulsion Iberia, probably formulated in the end of the 15th c. It is “Castile,” which had been so rich with Torah learning, in general. 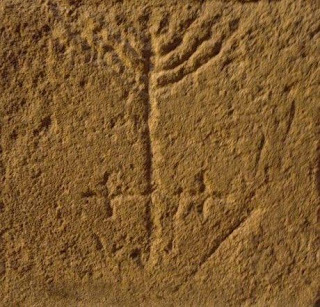 But we now know that the major spiritual and intellectual word which shaped the intellectual image of Spanish Jewry in the second half of 15th c. sprang out of a source located in Zamora, which became a significant milestone on the glorious historical route of Sephardic cultural history.